Mildly sweet yet crunchy, the taste of cashew nuts has been a hot favourite among many. This delightfully nutritious fruit is closely related to the mango and Pistachio plants. Though the tastes and sizes of cashew differ according to the area where it is grown, one fact remains true. Everyone loves its tantalizing, crispy essence. * Eating cashew nuts is good for those with ischaemic heart disease, which is caused by an obstruction in an artery and account for about 80 percent of all strokes. Though we compare engaging in easy tasks to eating cashew, the reality is that a lot of work goes into planting, trending and peeling cashew. 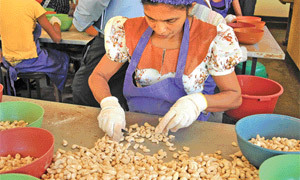 Cashew nut processing takes time and effort. The cashew has to be dried in sunlight properly before the peeling process takes place. The peeling is done using a special machine. Around 20 kilos of unpeeled cashew are inserted into the machine at a time. Around 80 percent out of the lot comes as whole cashew nuts while the rest comes in pieces. Next the peeled cashew is laid out on trays and roasted in an oven for nearly six hours. This process ensures that the cashew lasts for about five or six months because three to five percent of moisture is removed from the nut. It also makes it easier to skin the kernel. The final product after all this labour is that which you find in the market as kernels and roasted cashew. Cashew was originally introduced to Sri Lanka from Brazil by the Portuguese in the 16th Century. More than half the cashew extant is confined to the dry zone: Puttalam, Anamaduwa, Eluwankulama, Nikaweratiya, Mannar, Batticaloa, Ampara, Maha Oya and Moneragala. Around 25,961 hectares have been used for cashew cultivation. Recently the Government took measures to re-plant Sri Lanka’s largest cashew cultivation land Kondaichchi in Silawathura which spread through 6,444 acres of land. The area had been abandoned and deserted after the LTTE took control in 1990. 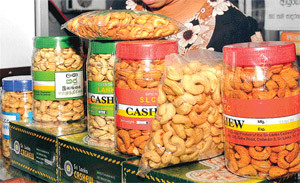 Incepted on May 5, 1973, the Sri Lanka Cashew Corporation’s profit- making took a nosedive due to certain malpractices. However it had been recently rejuvenated under its present Chairman Sanath Weerakon. “We only market high quality cashew. The product is sterilized. Some private sellers use wheat flour, egg whites and glue to give the cashew a shine. They even mix new kernels with the old. Some are not properly roasted and cannot be kept for a longer period. The best quality cashew is ivory coloured. They snap loudly when you break them in half,” Weerakon explained. Around 20,000 metric tons of cashew is the market demand but only around 8,000 metric tons can be provided by local dealers. 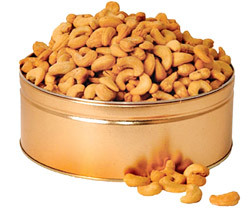 “There are many myths about eating cashew. But now more people have become aware of the benefits of consuming cashew. It is expensive because of its high nutritional values,” he noted. The Corporation provides subsidies for cashew growers. They also upgrade them on their newest techniques and has arranged a series of programmes to popularize cashew plantation. Rs 9,500 is donated for one acre of budded cashew cultivation and Rs 3,500 for one acre of seed cashew. Seedlings and budded plants are given free. We buy their crop for a reasonable price. “Cashew is normally planted from November to January. This is the time of the North East Monsoon. Normal lifespan of a tree is about 30 years. The flowering season starts by November and continues up to March. Cashew nut harvesting is usually carried out in the months of May to July by gathering fallen nuts. It takes four to five years for trees to bear fruit, but budded plants bear fruit in three and a half years. They also yield four to five times more crop than seed plants,” Weerakon said adding that Batticaloa cashew growers prefer the seed plants because they can tolerate the weather. The cashew plant does not demand much attention once it is over a year old. It is not easily prone to pests and diseases. All it takes is adding fertilizers at necessary periods to get a bountiful crop. 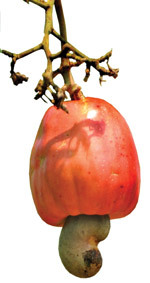 Earlier the cashew fruit was used to make wine. They are also hoping to make oil using the cashew husk. The Cashew Corporation headquarters was earlier situated in Colpetty. The place was hidden from view without even parking space for customers to stop their vehicles to buy cashew. 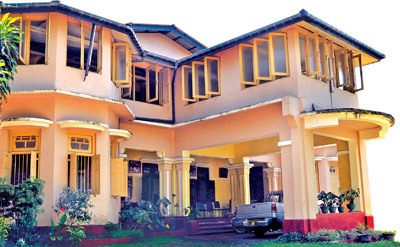 Once Weerakon took over they moved to a spacious environment in Rajagiriya. The residence comprises a cashew boutique which sells dehydrated, raw, chillies mixed and roasted and salted kernels. They also have another cashew stall near McDonald’s in Colpetty. “Sometimes we earn about Rs 200,000 a day. Unfortunately we have not been able to produce enough cashew to cater to the market demands. 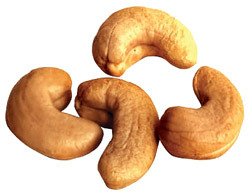 Therefore we import cashew from India, Indonesia, Tanzania, Nigeria, Ivory Coast, Vietnam and Thailand. However the best cashew in the world is found in Sri Lanka. It has been proven through research. Sri Lanka being an island is quite appropriate for cashew cultivation,” he expressed adding that his aim is to increase production and stop cashew importation. He hopes to achieve his target in 2013. 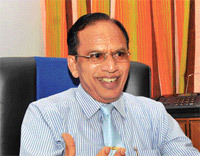 He also aims to make Sri Lanka to the top ten countries which produce cashew in the world by 2016.